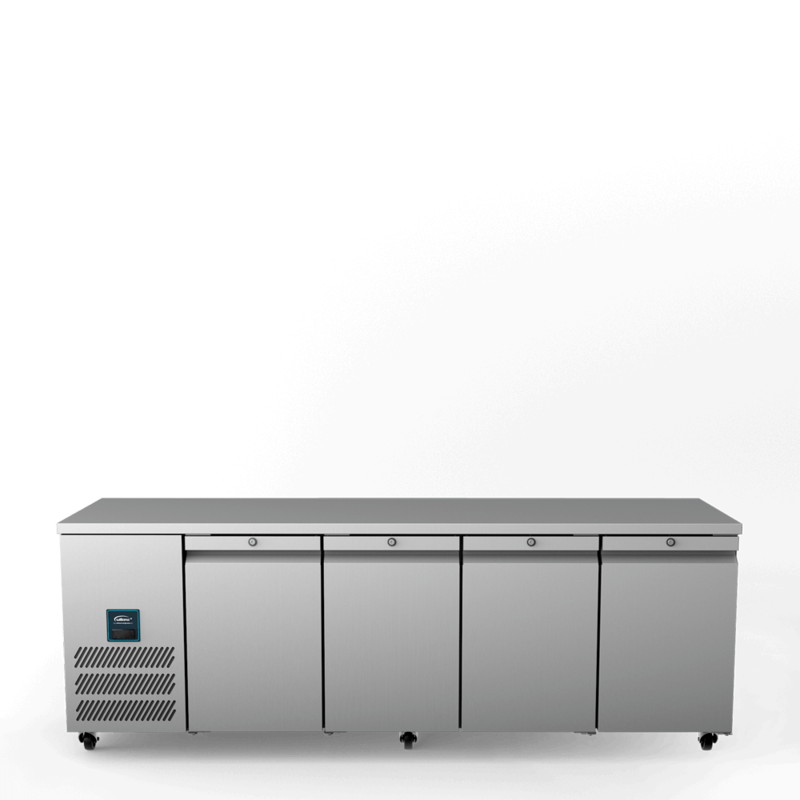 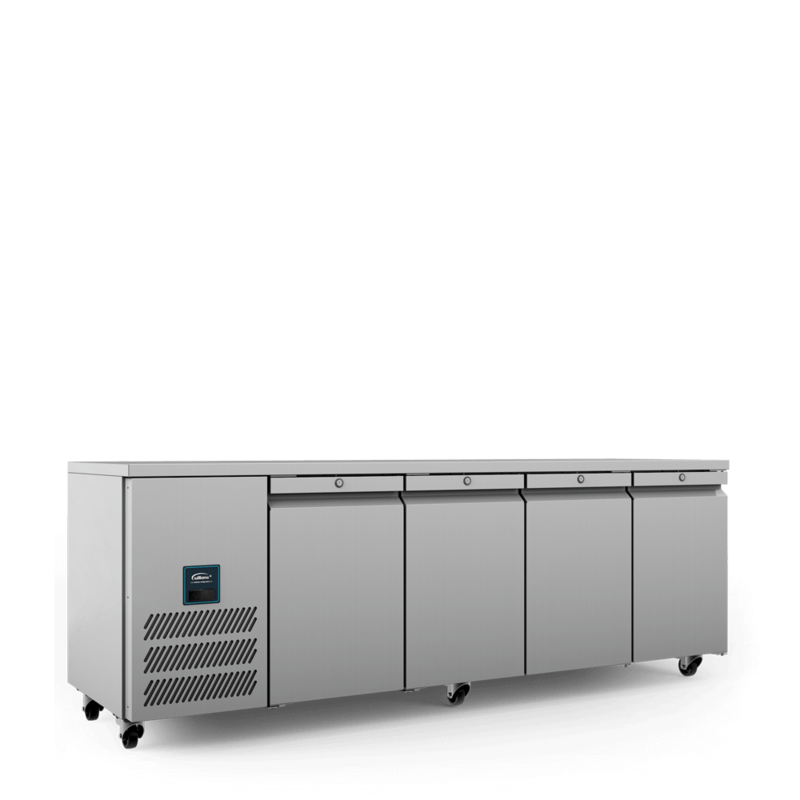 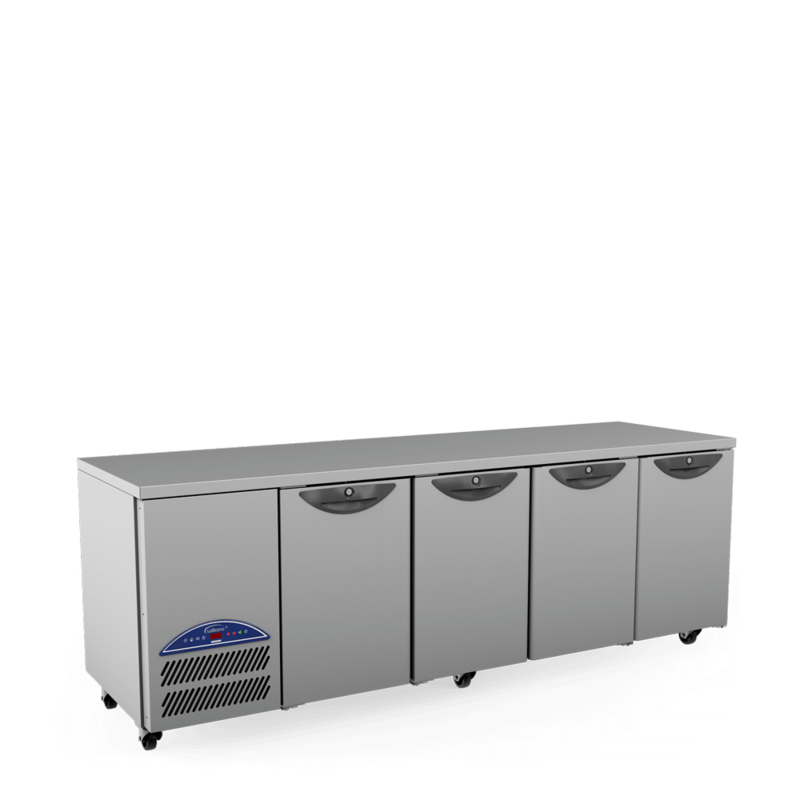 This sleek four door refrigerated counter provides the performance, reliability and efficiency the toughest foodservice environments require, at a budget to suit. 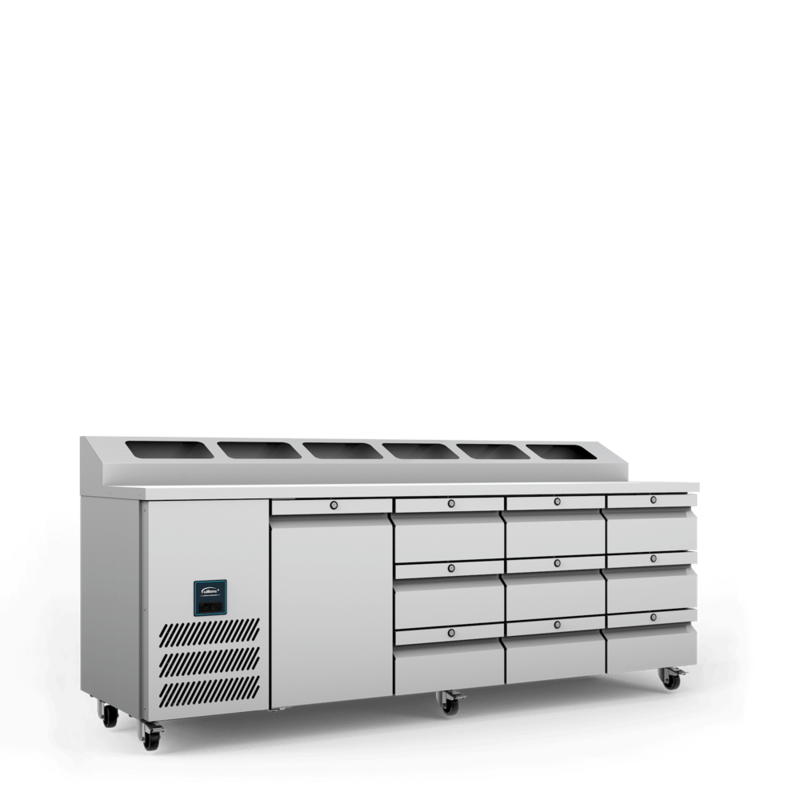 The Coolsmart controller helps reduce energy costs by up to 15%. 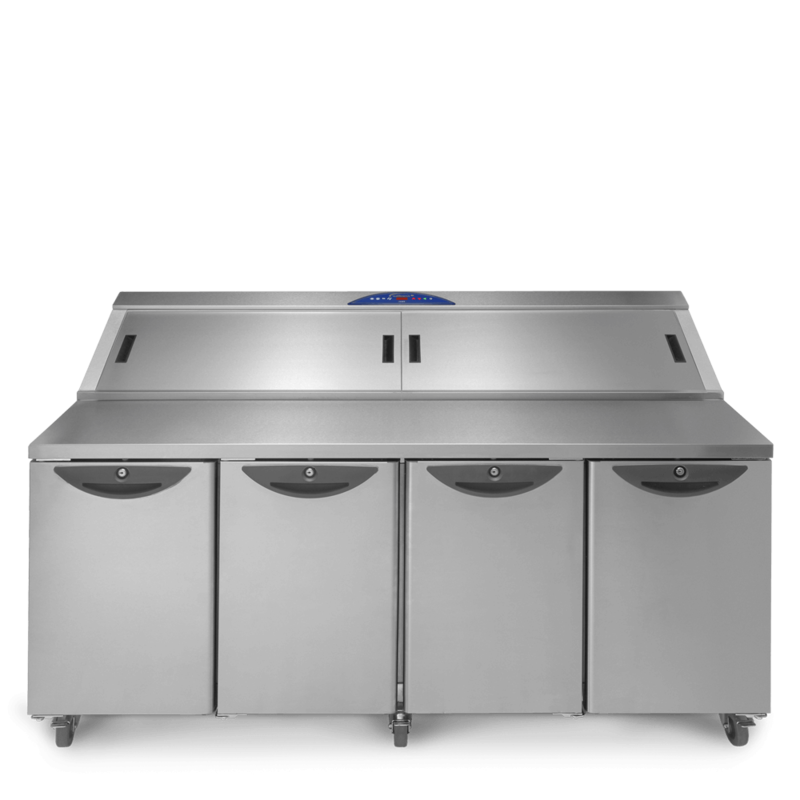 The four door Onyx CPC4 prep station has 835 litres of undercounter storage space and accommodates ten 1/3GN ingredients pans.